Before you post ads, its important to go through a phase of sussing out your competitors. This means looking at what it is that they’re posting, and working out how you can make your content different to theirs. Once you’ve done this, there are a few elements you need to include to ensure your posts are of good quality. Firstly – keywords. There are certain key pieces of information that you need to include to optimise your position in search results. Make sure you include everything from size and colour to the brand and condition. On eBay, shoppers can either bid for items or buy them immediately, so you need to make it clear if its a “buy it now” item or not. Then choose your price – and remember to be as competitive as possible! Another important aspect is the photo that goes with it. eBay recommends that you opt for a 1600 pixel photo on a plain background. It’s important to have more than one photo, too. According to an infographic by Vouchercloud, Offering multiple product photos and alternative images leads to 58% more sales. To put your customers at ease, it’s important you add delivery and returns information, and display this clearly. eBay recommends that sellers use PayPal as a payment method, as this is highly trusted and reassures customers that your business is secure. Product identifiers are unique pieces of code that help identify products, like barcodes. Including them can help improve your listing results on eBay, and gives a greater chance of them being listed in eBay features like product reviews. The main product identifiers that eBay asks you to include (if applicable) are Brand, Global Trade Item Number (GTIN), European Article Numbers (EANs), International Standard Book Numbers (ISBNs), and Manufacturer Part Number (MPN). eBay were planning to make the inclusion of product idenitifers mandatory in February 2017, but have since postponed this. However, even though it’s not mandatory, we strongly suggest that you include these product identifiers, especially if you want to differentiate yourself from your competitors. 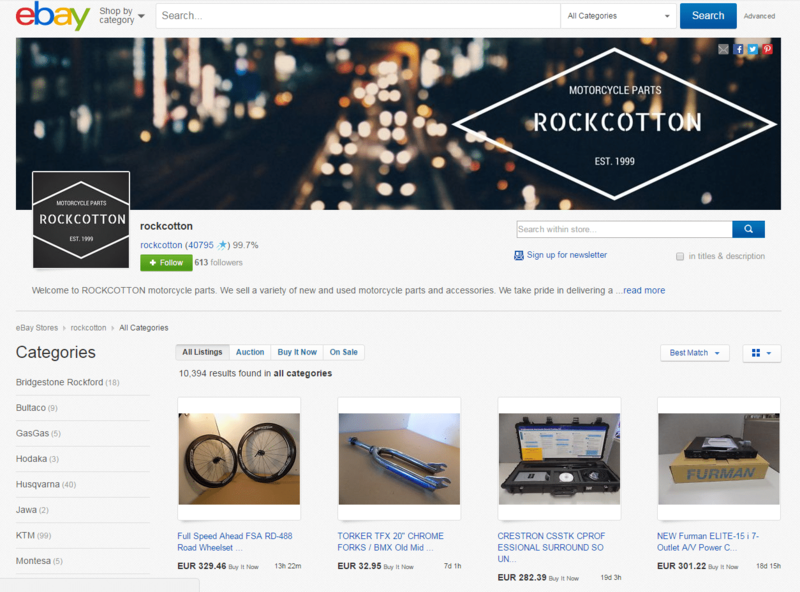 eBay Stores are a great way to show off their brand’s visual identity. Add a logo, a graphic identity, a company description, and more – plus, put a spotlight on certain products you want to promote. The eBay Store also shows your customer reviews, which is essential for increasing your conversion rate. In the same infographic from Vouchercloud, it was found that 85% of consumers read online reviews before making a purchase. Of these, 79% trust the reviews as much as they would a personal recommendation. 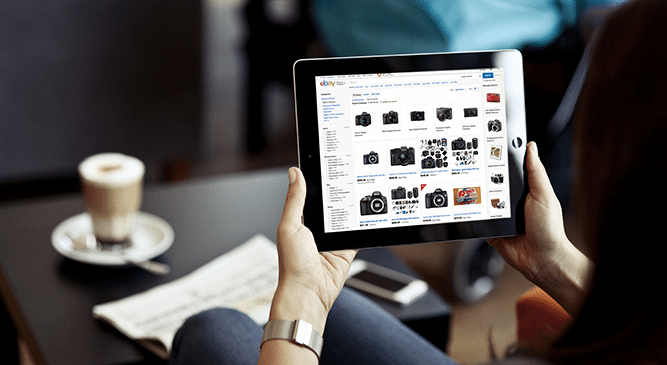 Also available on mobile, the eBay Store lets you display your products all over the world as well as in your home country, and also includes a number of features to help you increase your sales, e.g cross-selling, free shipping, and more. The marketplace also handles all customer service. However, it’s worth noting that this isn’t a free feature. There are three different types of Store you can buy: a Basic Store, Featured Store, or Premium Store. For more information, check out the Seller Center. Once your products are published, you still need to keep on top of your game! You should be keeping up to date with your performance daily, and making adjustments where necessary. For example, adding extra information to put shoppers at ease, altering prices, or putting discounts on certain products. On the other hand, if your products are doing well, then don’t tamper too much with them! Just keep an eye on them, but you know what they say – if it ain’t broke, don’t fix it. Selling on marketplaces requires a strong level of commitment to your customers, especially in terms of shipping and delivery times. 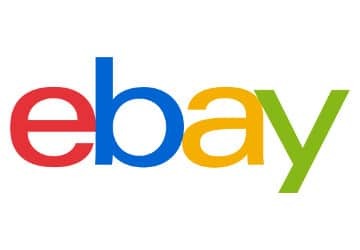 eBay offers sellers the eBay shipping platform, so that sellers can take advantage of eBay’s prices with partner carriers. 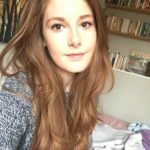 Customer reviews and ratings are also really important for maintaining your reputation on the platform. You therefore need to be as responsive as possible to your customers – handling queries, shipping products on time, and helping them wherever possible. If your products and your reputation are both of a high quality, then there’s no doubt you’ll be successful as you begin your eBay adventure! 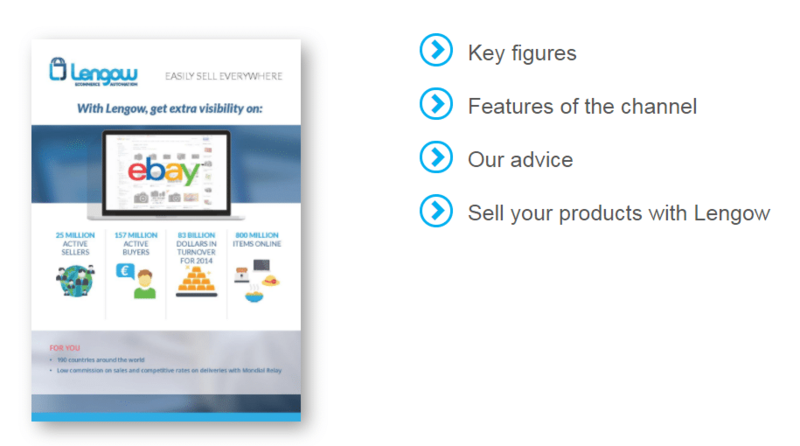 For more tips on how to improve your visibility and sales on eBay, download our free guide!